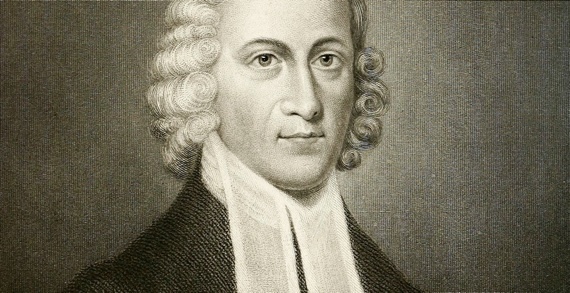 It is unclear when the sermon under consideration was preached by Jonathan Edwards. The best records seem to indicate that the Puritan divine preached this magnificent sermon before 1733, when Edwards was still in his 20’s. The full title is Great Guilt No Obstacle to the Pardon of the Returning Sinner. The subject was as relevant in the 18th century is it is now. For large numbers of professing Christ-followers have abandoned their first love, in search of a “better way” which in the final analysis is the pathway to hell. The sermon text is Psalm 25:11. From the outset, Edwards remarks about the heinousness of sin. The Psalmist does not minimize his sin. Rather, he maximizes the depth of his sin and acknowledges his deep great for pardon. In typical Edwardsean fashion, America’s greatest intellectual reveals the doctrine: If we truly come to God for mercy, the greatness of our sin will be no impediment to pardon. The established doctrine enables Edwards to address the things which are needful in order for sinners to come to God for mercy. 1. That we should see our misery, and be sensible of our need for mercy. 2. They must be sensible that they are not worthy that God should have mercy on them. 3. They must come to God for mercy in and through Jesus Christ alone. The mercy of God is as sufficient for the pardon of the greatest sins, as for the least; and that because his mercy is infinite. That the satisfaction of Christ is as sufficient for the removal of the greatest guilt, as the least (1 John 1:7). Christ will not refuse to save the greatest sinners, who in a right manner come to God for mercy: for this is his work. Herein doth the glory of grace by the redemption of Christ much consist, viz. in its sufficiency for the pardoning of the greatest sinners. The whole contrivance of the way of salvation is for this end, to glorify the free grace of God. Pardon is as much offered and promised to the greatest sinners as any, if they will come aright to God for mercy. The invitations of the gospel are always in universal terms. May sinners find rest in a Savior whose mercy runs deep and flows freely from the foot of the cross!